Fake acrylic ear spiral taper stretcher in black, get the look of a 8 mm plug without the stretching. Buy 2 Get 1 Free-From 66p Each.No Limit.10+Styles. Acrylic Taper Spike Fake Cheater Illusion Stud Plugs. Perfect fit for your ear pierce. Great fashionable and stylish non-allergic, non-toxic, non harm to body taper. Taper Length: approx 40mm. Quantity: 2X Pieces or Pair. Nose Ring Hoop- Non Piercing. Fake Clip On OXIDE LEAF. Oxide is Oxidised to give. The Basket. 0.5 mm Sterling 925 Silver. I can state your item it 100% Sterling silver therefore colour may fade. (Earrings, Nose Studs, Body Bars and so on). 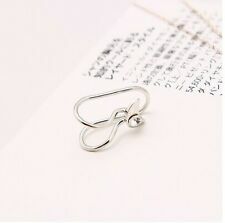 Fake Plug Expander Non Piercing Magnetic Peace Symbol. 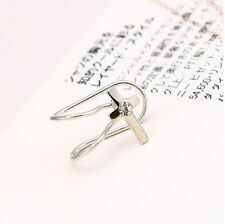 Stud round magnetic back clip as a stopper. The featured single Magnetic non-pierced fake plug with back to back peace symbol. 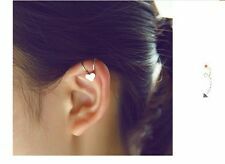 is perfect to wear on ear, nose and upper lip without taking the risk of getting pierced! 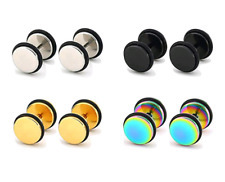 Magnetic Fake Plug Ear Stretcher Stud Earrings. 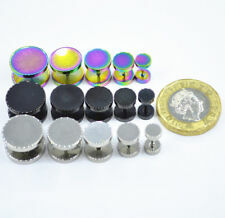 Light weight acrylic magnetic plugs. No piercing required. Quantity: Pair. Comfortable to wear that lets you carry your fashionable look in all occasions. Body Piercing Jewellery. Cuff Width : 2.5 mm. Cuff Material : Brass. Finish : Rhodium Plating. Special Occasions. Classic Jewellery. Sparkly Stick On Nose Stud Stick On Clear Crystal Fake Nose/ Body Stud Do Not Need Piercing. Fake a nose/body/ lip. 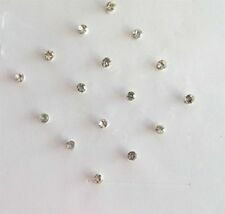 piercing stick on crystal gem stones. These faux nose crystals are super easy to apply and long lasting. Nose Ring Septum Lip Fake Ball Ring. 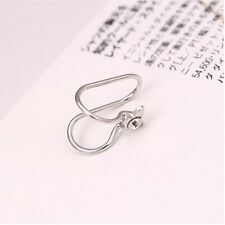 10mm 925 Sterling Silver Hoop Ring. 10mm ring with a 3mm Ball. 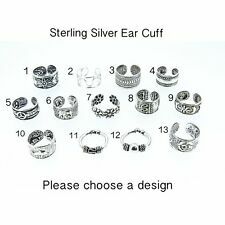 I can state your item it 100% Sterling silver (if it applies to your item). The Basket. (Earrings, Nose Studs, Body Bars and so on). Brown leopard Acrylic Stretcher. Great fashionable and stylish non-allergic, non-toxic, non harm to body taper. Taper Length: approx 40mm. Perfect fit for your ear pierce. Quantity: 2X Pieces or 1 Pair. Upper helix and orbital area of the ear. High quality rhodium. The Cuff can be pich fit, and is suitable for the. Cuff depicts a row of skulls. 16.00mm x 15.7mm Overall Size. ALL PHOTOS. A PAIR OF BATMAN FAKE EAR PLUG STRETCH CHEATERS. If you don't really want to stretch your ear then fake it!